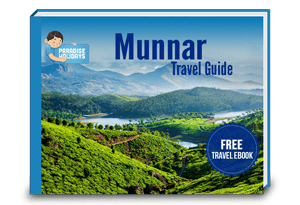 Munnar, Idukki is easily spotted on the world tourism map. 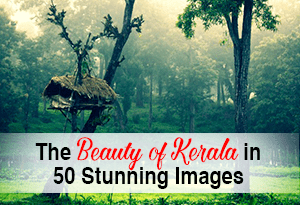 The entire town of Munnar is a sight to behold. With mesmerizing hills draped with mystical fog, evergreen tea and coffee plantations and enchanting waterfalls, the picturesque image of the laborers working on these plantations standing precariously on the hills, Munnar is simply photogenic from all angles. One of the best time to visit Munnar is when the Neelakurinji flower blooms, a phenomena that occurs once in 12 years. When you observe the backdrop of the mountains and valleys it is easy to see why there is no place like Munnar to have a wholesome vacation. 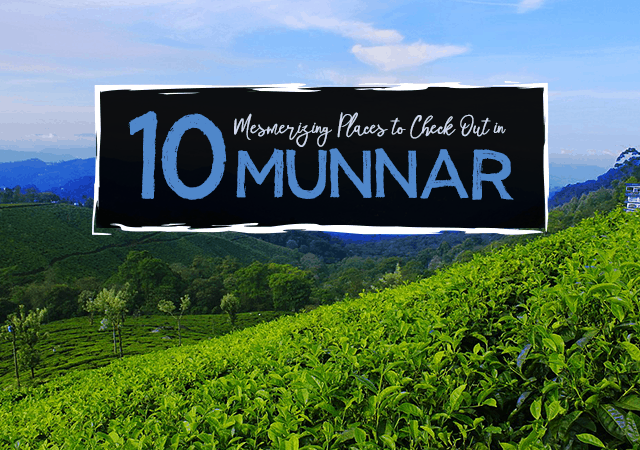 Here are 10 great places to visit while spending a vacation at Munnar. Cheeyappara waterfalls is located at a distance of about 42 kilometers from Munnar, on the Kochi-Madurai Highway. To be precise, between Neriamangalam and Adimali. It is enticing, luscious and totally beautiful, with the water falling down in seven tiers. This is a spot frequented by trekkers and hikers because it shows off the perfect display of bountiful nature. All around you can see several varieties of trees and different kinds of flora and fauna as well. The sight is truly spectacular right after the rainy season, because the water gushes down with unimaginable gusto. 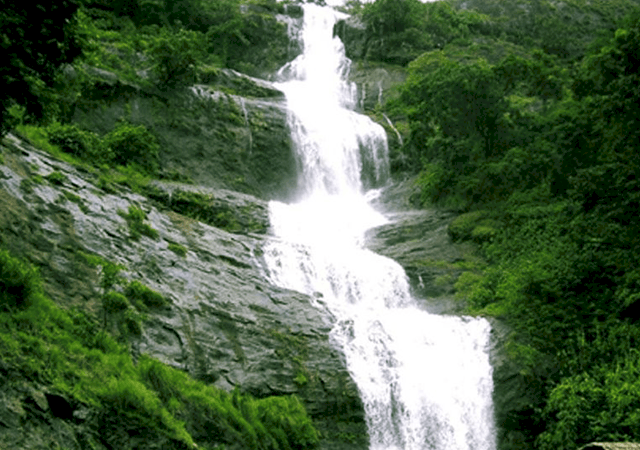 It is no wonder that Cheeyappara waterfalls has been declared as an eco-tourism destination. Valara Waterfalls is located near Cheyyappara falls, and is also a chain of waterfalls surrounded by lush green forests. The water cascading down from a height of 1000 meters is a treat to the eye. It is an ideal place to relax and unwind, in the lap of pristine nature. 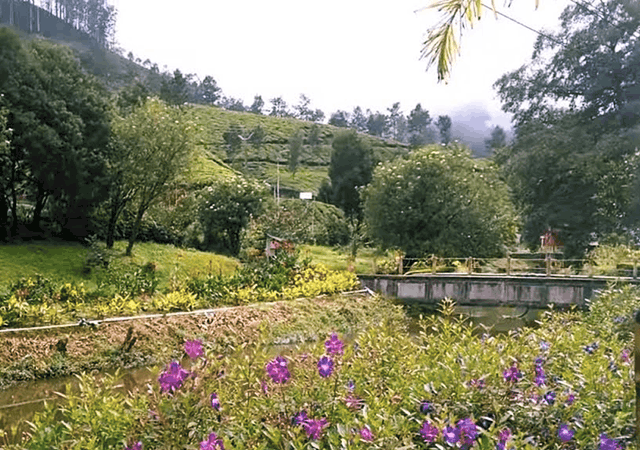 Munnar Flower Garden, also known as Munnar Rose Garden is run by the Munnar Horticulture Centre, and hence a Kerala Forest Development Centre. You can visit the garden and treat your eyes to more than a hundred varieties of flowers and herbal plants. The garden is spread across a few acres of land, and apart from enjoying the hundreds of rare varieties of flowers, shrubs, creepers and cacti, you can even buy a few to take back home. 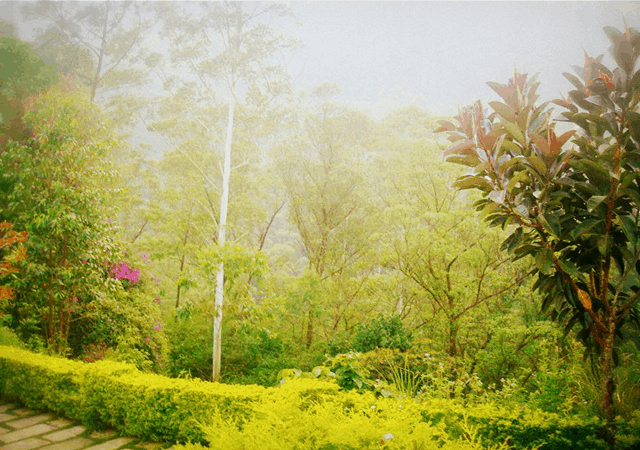 You can easily club a visit to this garden with other activities you are planning to do in Munnar because you need only 45-60 minutes here, even if you go really slow, admiring each and every plant, and relaxing in the benches watching nature’s, and of course, man’s artwork with flowers. 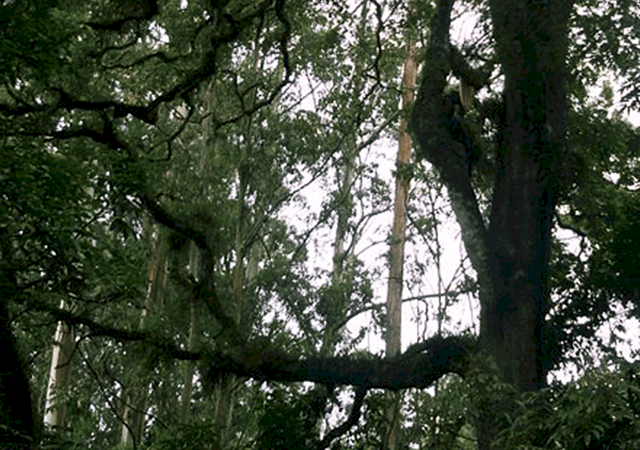 Photo Point in Kannan Devan Hills in Munnar is a favorite spot for sightseeing, filming and even for picnics. In the background you can see dense tea plantations, and farther back, there are woods and rolling hills. There are small rivulets lending a kind of surreal beauty to the place. Point your camera anywhere and you will find the perfect frame for your picture. The virgin nature here is so beautiful that you would want to spend as much time here as possible. On the way back, you can stop to buy tea, coffee and a variety of spices. If you are a person sensitive to the ways of nature, you will enjoy watching the several beehives hanging from the branches on the Honey Bee Tree. The tree is located along Munnar-Mattypetty road, so you can easily stop your vehicle for a few minutes, watch the bees hard at work and then move on. An interesting aspect of the Honey Bee Tree is that though you can see several hives on this particular tree, you won’t find any hives on the nearby trees. 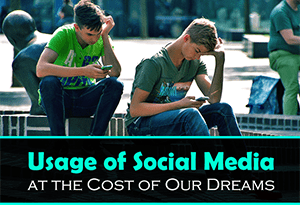 There are several theories behind this phenomenon. Nevertheless, it is still interesting to watch the bees at work. 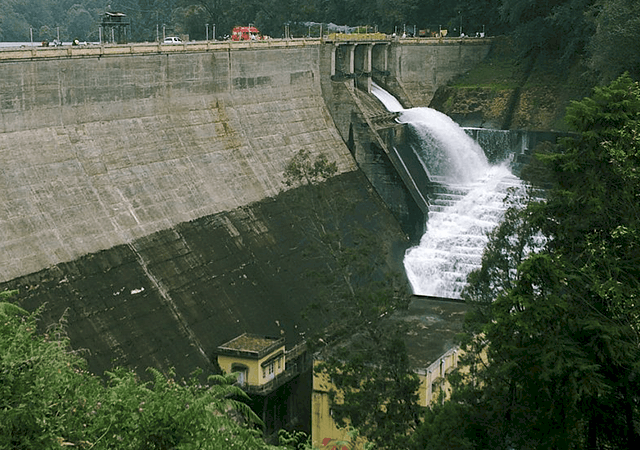 Mattupetty dam is a concrete dam nestled in the hills of Munnar. It is quite near Anamudi peak, just 13 kilometers from the town area. 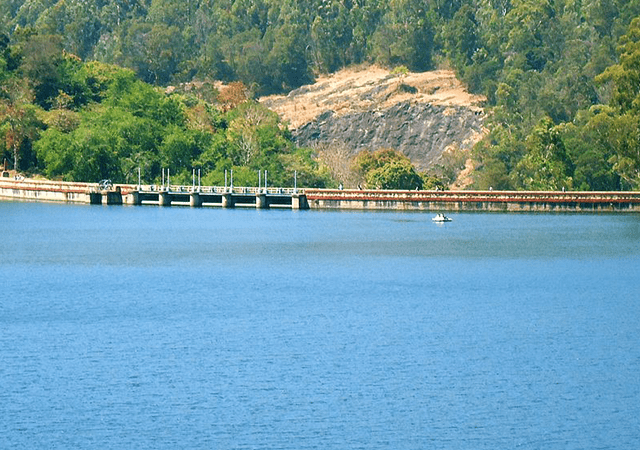 The dam area is extremely beautiful and there are boating facilities and small shops to have snacks and drinks. The mist covered hills and the mysterious valleys in between them definitely add to the charisma of the dam. If you spend some time here, you will be able to see several birds and listen to their chirping. Mattupetty in itself is a natural wonder as people enjoy walking and trekking along this stretch. 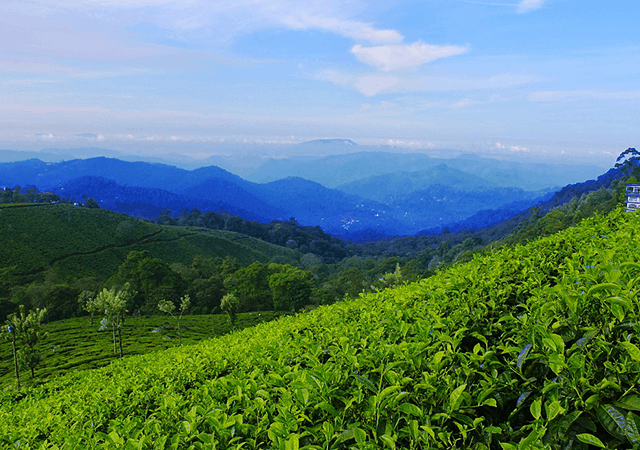 The rolling grasslands make the area refreshing and the undulating tea plantations add to the awesomeness of the place. The Blossom Hydel park is quite famous among the tourists. It is a 16-acre parkland, located on the banks of River Muthirappuzha, just 3 kilometers from Munnar. It is quite unique because this is the only park in town. In the background, you can see the misty folds of Kannan Devan Hill tea estates and the gorgeous Western Ghats. You can spend an evening here because there are several grasslands on which you can have a picnic with your family. Facilities offered here are roller skating, badminton, and of course, boating and nature walks. Visitors spend hours here watching the birds or just relaxing in the cool atmosphere. In the late evening, you can set up a camp fire and put on some music. 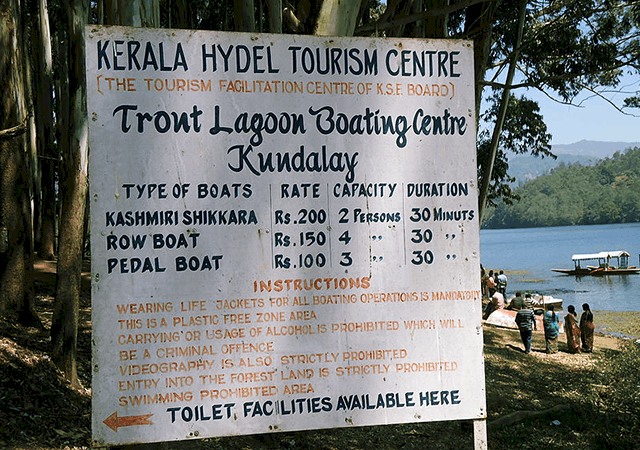 Anayirankal Hydel Tourism Project by the Kerala Hydel Tourism Centre (KHTC) arranges the boating trips at Munnar. Floating in the serene waters while absorbing the fresh air can be so rejuvenating, so don’t miss it. While boating, you can also catch occasional glimpses of the flora and fauna indigenous to the area. You can either travel in a slow motor boat or a speed boat, depending on what your preferences are. Apart from boating, you can also enjoy mountain biking here. The natural echo phenomenon in Echo Point has been a curious factor for tourists. Hence the place got its name. The echo point in Munnar is located at an altitude of 600 feet, just 15 kilometers from Munnar, and is enveloped in true natural beauty. Three mountain ranges, Mudrapuzha, Nallathanni, and Kundala confluence together at this particular spot, perhaps adding to the ‘echo’ phenomenon. You can walk along the banks of a lake that’s situated nearby, cup your hands and shout, and hear your own voice reverberating back. The Echo Point is also a picnic spot, so you will find it crowded on a busy day. It is here that the Neelakurinji blooms, the famous flower that blooms every once in 12 years. Luckily for you, 2018 is a year for the bloom, so that’s another reason why you should head to Munnar now. 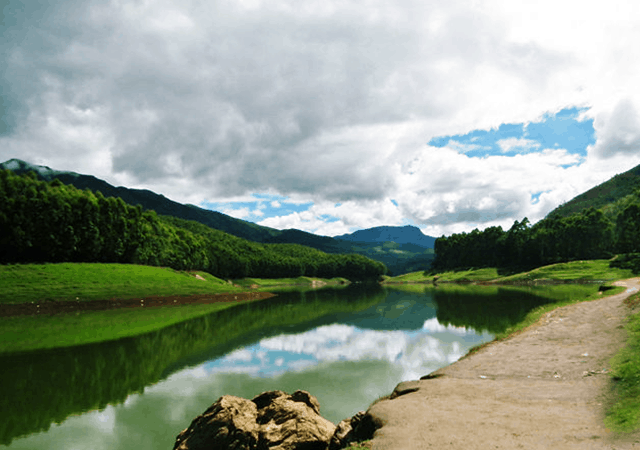 Kunadale Arch Dam, over the Kundala River is situated at a distance of about 20 kilometers from Munnar. 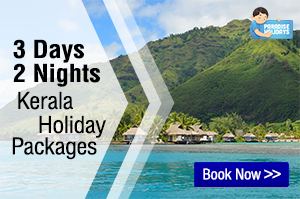 Its bountiful beauty leaves nothing to imagination, so you’ve really got to visit it. Standing at an elevation of 1700 meters, your eyes will be treated to the best scenes that nature can give you. Enjoy boating at the lake and marvel at the awesomeness of the place. 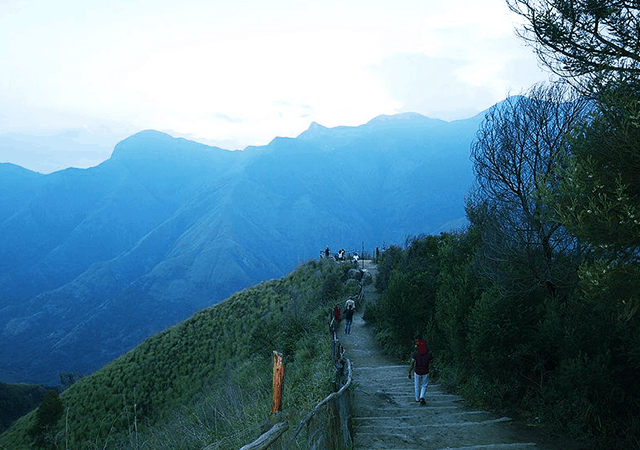 Top Station is one of the most famous vantage points in Munnar, and it is perched at an elevation of 1700 meters. 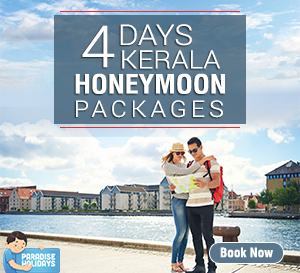 As it is the highest point in Munnar, you can stand atop Top Station and enjoy scintillating views of the town and the hills, valleys and waterfalls of the Western Ghats. When Neelakurinji flowers bloom, it is the Top Station that attracts the most number of visitors. The gorgeous blue blossoms add to the alluring beauty of the landscapes making it a heavenly experience and a feast for the eyes. The entire place lends a kind of magic and charisma, making you forget the woes of the past and think only about the inexplicable charm of Mother Nature. The natural beauty of Munnar beckons all kinds of tourists – the kind of people that look forward to silent mornings with a beautiful sunrise to watch and the kind of tourists who look forward to have some kind of adventure on the hills. 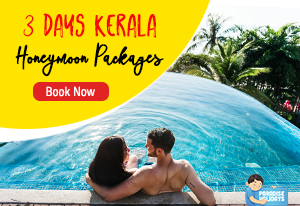 You can easily choose a resort up in the hills, where you can watch the dawn breaking over the silent and majestic hills, the rays of the sun pushing out the morning hues of the sky, and drawing magnificent pictures using a thousand colors. Or you can trek up the hills with a backpack on your back watching the sun kissing the hills silently prodding them to wake up to a beautiful morning. Or you can rent a bike and cycle along the winding paths while the morning sun plays hide and seek with you. 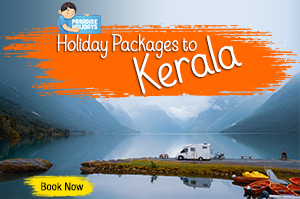 On the way, you can feast your eyes on the sparkling rivulets, captivating waterfalls and the chirping birds.